One of the main functions of the Green Valley SAV is to patrol on a regular basis, to act as additional eyes and ears for law enforcement, and to ‘show the law enforcement flag’ around town. Most SAV patrols are conducted in our vehicles, which are clearly identified as Sheriff’s Assist Team vehicles and are fully equipped with computer and communication equipment compatible with Pima County Sheriff’s Department vehicles. We also patrol on bike and on foot. Our foot patrols are active at the Heirloom Farmer’s Market and the White Elephant store. 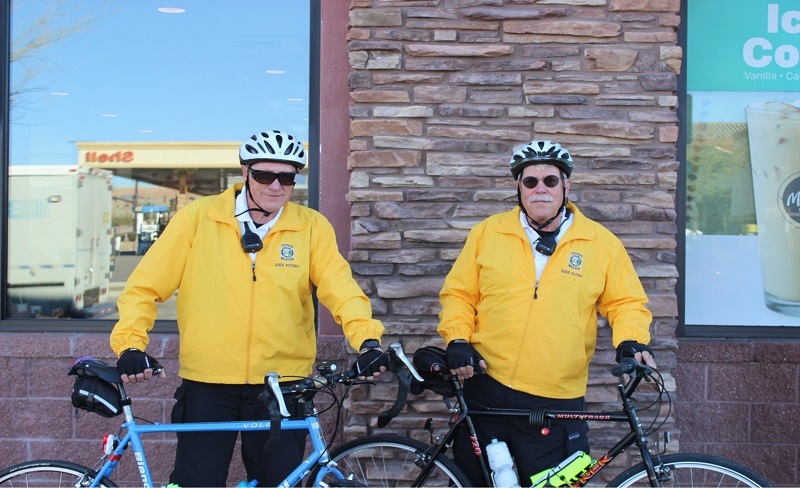 Our patrol units perform the Home Security Checks, assist PCSD with traffic control and other issues, and respond to any needs identified by the Tele-Care Service.